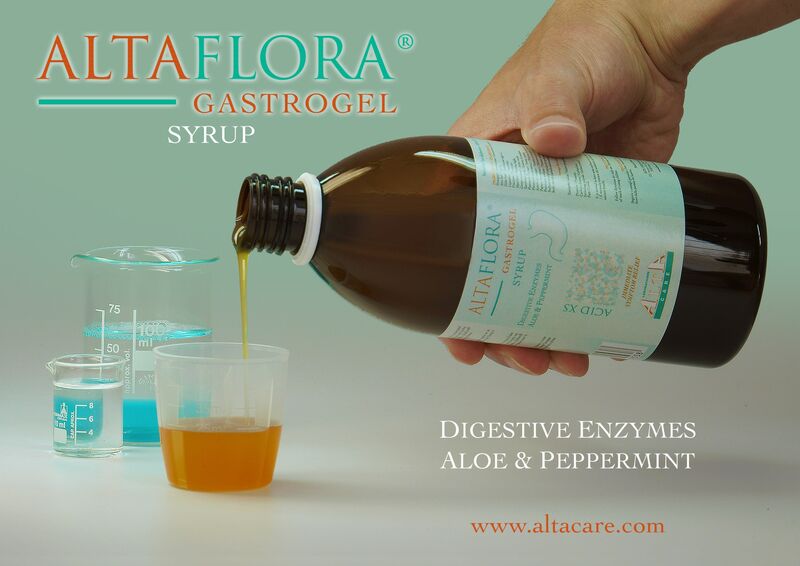 Altaflora® Gastrogel is a unique formulation of certified concentrated aloe, peppermint oil and digestive enzymes combined with herbs recognised for their soothing and digestive properties. 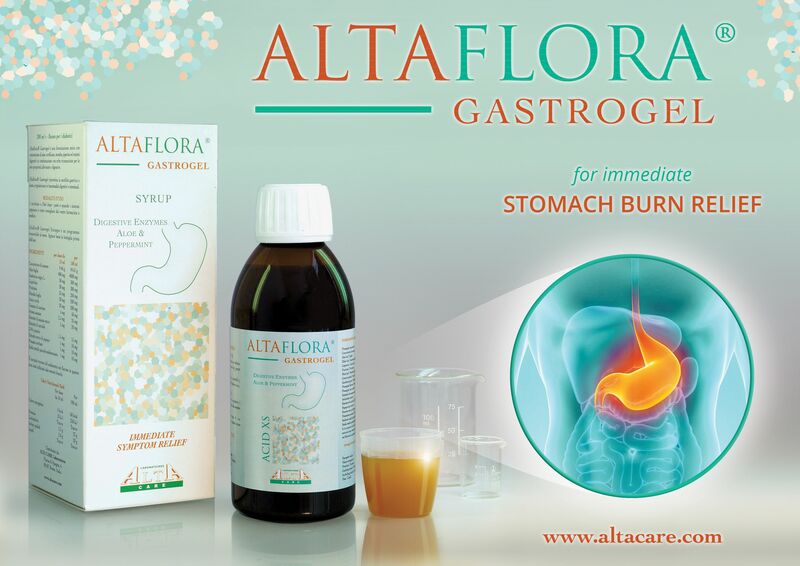 Altaflora® Gastrogel is a natural food supplement useful to improve the elimination of gas from the intestine. Altaflora Gastrogel restores the motility of the digestive gut without the need to resort to pharmaceutical anti-acids. Over dispensing and over prescribing of antacids is common practice in most countries. Antacids break down the acid that is produced in the stomach. Acid is needed by the stomach not only to digest the food but also to protect the stomach. Antacids can disrupt this mechanism and they can also mask symptoms like carcinoma. Alta Care Laboratoires strongly believes that Altaflora Gastrogel should be used as a first line treatment especially if one is taking a product over the counter with no consultation from a doctor. Antacids should be taken only in a secondary stage when Altaflora Gastrogel does not dissolve the discomfort. Altaflora Gastrogel unlike antacids can be taken for long periods of time. • Altaflora gastrogel does not have any cardiovascular side effects as is the case in other gastro kinetic drugs. Patients suffering from indigestion, heartburn, irritable bowel syndrome IBS, flatulance. 1 table spoon or 10ml after meals or when symptoms appear or as directed by your pharmacist or doctor. Altaflora® Gastrogel Syrup is a monthly renewable program.